Click the titles to read our testimonials! I wish to advise that I have known Emilia for 5 years now and am very pleased to say that this has been an extremely happy association. Emilia has held the contract to clean “Elements” in Wollongong for the past 3 years. This is a building of 64 Units on 8 levels and Emilia has proved herself to be extremely efficient, responsible, well organized and dedicated to maintaining a high standard of presentation of the building. Emilia became know to me as she also has the contract to clean the adjoining building “Fairways”. It was through observation of her work ethic on this building that it was decided to approach her to quote on “Elements”. I wish Emilia and her dedicated team all the best for their future endeavors. Emilia has proven to be a reliable and efficient cleaning contractor for our building for a number of years. Mostly Emilia goes about her business unnoticed, as she can be relied on to take care of things. At times where an unexpected event happens outside of her normal duties, a phone call or message to her soon sees her attend our property to promptly to rectify it. Emilia works in well with our requirements at a reasonable rate and I would not hesitate to recommend her services to other strata properties seeking a change. The staff at Emilia’s Home & Pet have been providing a professional and efficient service at our clinic in Coniston since December 2010. 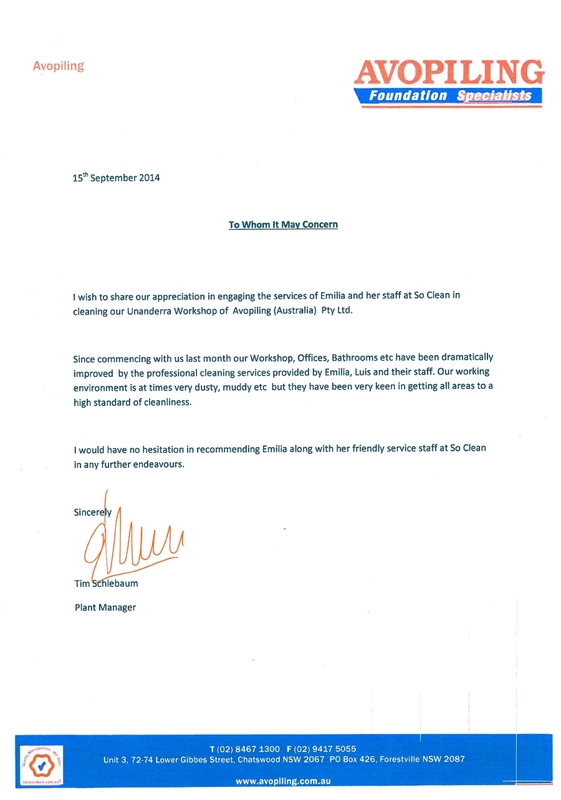 With cleaning being a top priority out our medical clinic, Emilia’s has always kept our place in great condition which our patients comment on regularly. If you were looking for a professional and friendly service then I would recommend Emilia’s any day of the week. 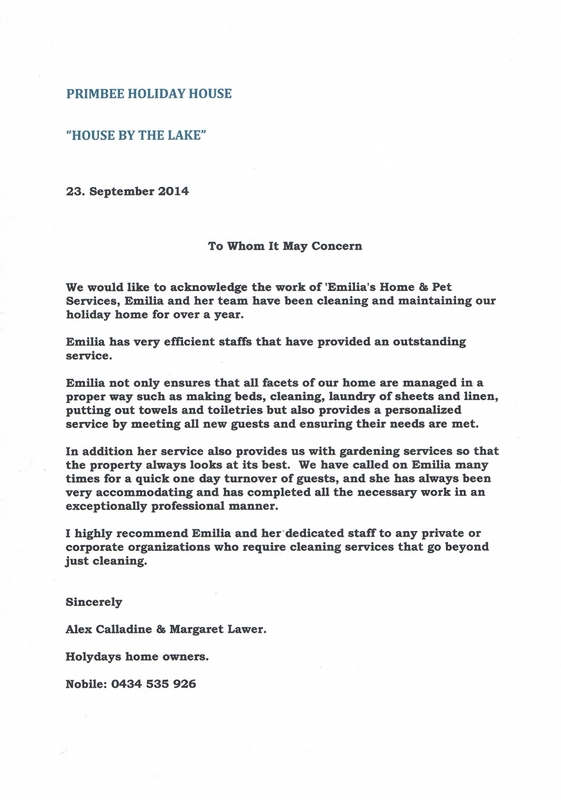 We have used Emilia’s Home & Pet and SO Clean, for dog minding, domestic home cleaning and cleaning our holiday letting “Sadies Port Kembla”. When we are unable to do the work ourselves since 2010. Emilia and her team are always efficient, professional and we know we can rely on them to do a good job, helping our family and small business . We know if we ask Emilia it will get done, and we don’t need to worry about our guests, or our own home. A great service for people who need to keep on top of things.